I love the new book The Baseball by Zack Hample. Actually, it’s two great books in one. First, Hample creates a great history of the baseball, even reviewing TV episodes of shows like I Love Lucy or Sesame Street that include foul balls! Then, for all you collectors, Hample shares all his secrets in how he’s amassed more than 5,000 baseballs. His book is a textbook for frustrated fans who’ve never snagged a souvenir. These aren’t just dogpile prizes of homers or foul balls in the author’s collection, however. Hample has perfected the psychology of baseball. If you’re on the field, this guy knows how to win you over. You will give this ballhawk a baseball. Hample’s optimism and love of the game are beyond compare. His thoughtful game plan should inspire any fan or collector. I’m grateful that he put down his glove to answer some questions. Q: All those baseballs. How many autographs? A: I have 1,076 autographs on ticket stubs plus several hundred more on baseballs, cards, and photos. Most of the balls that I’ve gotten signed were NOT balls that I snagged at major league games. I’ve never really wanted to get those signed. Even at a young age, I felt that the balls should stay in their original condition and not be written on. I’ve broken my own rule by labeling some of my baseballs, but I write small and very neatly, so you almost can’t see my scribbles if you look fast. Q: Did you ever write to players? A: In the early to mid-1990s, I probably sent 50 to 100 letters to players, asking for autographs. The only thing I ever sent was ticket stubs. That’s just been my thing. I don’t write to players any more, however. I just don’t have time, and anyway, I think it’s more fun and rewarding to get autographs in person. Q: You talk with players all the time. Do they talk autographs with you? A: I’ve never discussed fan mail with a player, but it seems like most guys would rather not have to sign or deal with fans at all. That’s really a shame considering that without the fans, these guys would be nobodies. I’ve been to lots of games where just one or two players will sign before the game starts. That number should be more like 10 or 20, in my opinion, but that’ll never happen — not at the major league level. Q: How do you dazzle a player at the ballpark when seeking signatures? When I’m getting autographs, I don’t try to show off my knowledge at all. In recent years, I’ve enjoyed making small talk with the players while they’re signing, but lots of guys don’t even want to do that. The funniest exchange I had during an in-person encounter was with Frank Thomas. It was 2008. He was playing for the A’s. We were on the left field side at Camden Yards, and when it appeared that he might take off before I got him, I said, “Frank, if I don’t get your autograph, I’m gonna cry.” His response was simple: “Please don’t.” But that’s all it took to crack the ice, and he reached for my ticket soon after. Thomas was one of my all-time favorite players when I was growing up, and this was the first time I’d ever been close enough to talk to him, so I truly would’ve been bummed had I not gotten him. Q: Through your national TV appearances through the years, you aren’t a mere fan any more. How do you feel about signing autographs at games? A: I love being asked to sign stuff. More than anything, I see it as a compliment, not to mention a good excuse to talk to the person who’s asking. After having been on the asking end of autographs for so many years, it’s nice to be able to be on the giving end, and to make people happy in the process. The only time I won’t sign is if I’m inside a major league stadium and there’s a chance for me to catch a baseball at that moment — but if the person asking me to sign is willing to wait a few minutes, I’ll always find time. I don’t think I’ve ever turned down an autograph request, and no matter how famous I might possibly get, I don’t think I ever will. Q: How are you about fan mail? A: I’ve actually done a lousy job in the last couple weeks, but that’s not because I don’t care. It’s just because I’ve been *so* busy attending games and trying to keep up with writing the entries that I simply haven’t had time to spend an additional 10 or 20 or 30 minutes answering comments. But I still read all the comments, and I hope to catch up on answering them…someday. In terms of where to send stuff to me, the best place to receive mail is at my family’s book store. The website is http://www.argosybooks.com/, and the address is right there on the home page. Just throw a “c/o Zack Hample” in there, and it’ll get to me. I’d also ask that people be patient in waiting for a response. It shouldn’t ever take me months to respond, but depending on my work/travel schedule, it could take a few weeks. If people want their items personalized, they should include a note with as many details and requests as possible. I mean, I’ll sign books differently for a five-year-old than I would for a 55-year-old, you know? So it’s good to know something about the recipient. Q: You deserve to be on a baseball card. Has that happened yet? A: Thanks! But yes, I have been on a baseball card. In fact, I’ve been on two, and they’re very rare. My dad made the first one for me in March 1982 when I was four and a half years old, and when I went to baseball camp in 1988, I received 100 of these. I’ve probably given away a dozen of them over the years, but only to relatives, best friends, and girlfriends. It would take some serious work for some random person out there to end up with one, but hey, anything’s possible. Q: Your blog “Snagging Baseballs” is amazing, as is your http://www.zackhample.com/ website. 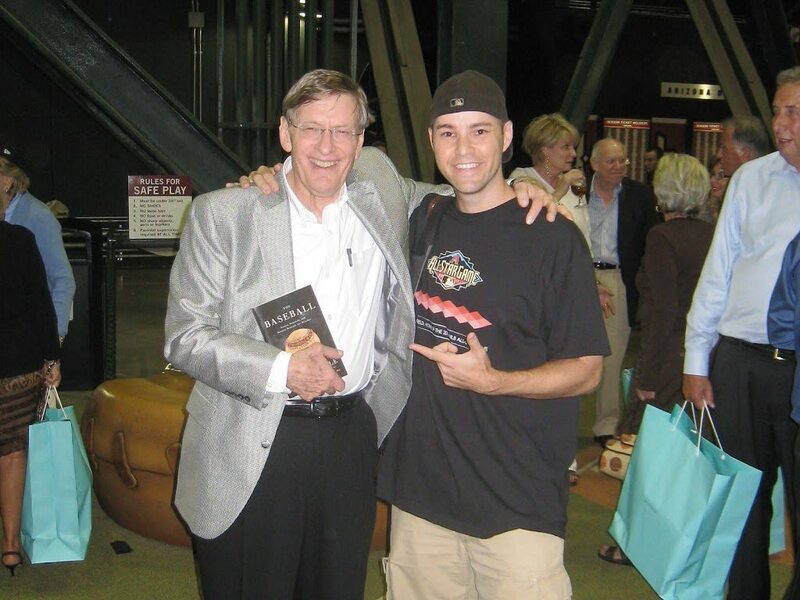 Will you have time to write more baseball books in the future? A: I have no clue. I’m officially taking a break this year from any serious writing. Beyond that, I haven’t made any plans, but if I had to guess, I’d say I’ll end up writing more books in the not-terribly-distant future. Q: Any words of inspiration for autograph collectors? A: You have to be dedicated if you want to amass a spectacular collection, not just with autographs, but with anything.